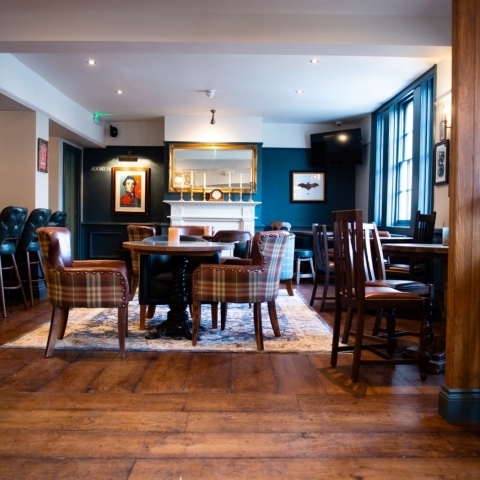 The recently opened Wellington Arms situated on The Duke of Wellington’s estate in Stratfield Turgis has unveiled 25 stylishly decorated bedrooms at the pub which opened in late November, following a £2.5m refurbishment from award-winning, independently owned, Farnham based pub company Red Mist Leisure. Nestling within the Wellington Estate which covers 7,000 acres of parkland, woodland and farming land, owned by The Duke of Wellington and his family, The Wellington Arms, its bedrooms and meeting and function rooms, offer traditional English pub combined with relaxed and modern design to create an atmosphere for all to enjoy and, in a nod to the Duke Of Wellington, all rooms have been named after his war battles. Each of the 25 rooms have sumptuous super king, king or twin beds with luxury bedding and state of the art stylish bathrooms. One of the 25 rooms is a suite and features a freestanding bath in the bedroom in addition to its ensuite facilities, making it perfect for romantic breaks or a bridal suite. Small touches such as complimentary local handmade chocolates are thoughtfully placed in rooms for guests to enjoy alongside a Mozzo coffee machine with Hampshire-roasted, fully recyclable Mozzo Coffee capsules. Dinner B&B packages from £130 includes a 3-course dinner from the full a la carte menu and seasonal specials board. Smaller private dining areas are available within the pub to host intimate corporate meetings and lunches or to allow families and small groups to enjoy a meal together; and for the eco-friendly guests, the pub also offers electric car-charging ports.